Known throughout the 1970s and '80s for their precision color guard and British-regiment inspired uniforms, the 27th Lancers will be back in action this coming Saturday, not on the football field marching to strains of their famed arrangement of "Danny Boy," rather at the bowling alley raising funds to support performing arts students. Though no longer a competing drum and bugle corps, the 27th Lancers Foundation is an active organization dedicated to supporting young people who are seeking to further their education and awareness of the performing arts. Each year the foundation awards two scholarships to students who are continuing their studies in either the performing arts or education. 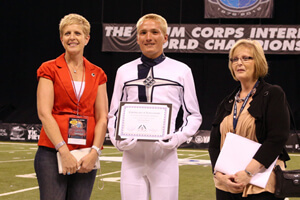 Named in honor of husband and wife founders of the 27th Lancers, the George and Patsy Bonfiglio Scholarship was first awarded at the DCI World Championships in August of 2012. To raise money for the scholarship fund, the organization's First Annual Patsy's Alley Bowling Tournament will take place on Saturday, Feb. 16, at Boston Bowl in Dorchester, Mass. Registration begins at 6:30 p.m. ET, and the cost to participate is $27, which includes bowling, shoe rental, food, soft drinks and more. $50 lane sponsorships, some of which have already been supported by a number of drum corps, also are available. Learn more about the Patsy's Alley Bowling Tournament. 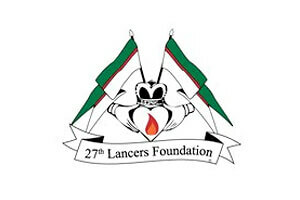 Learn more about the 27th Lancers Foundation.